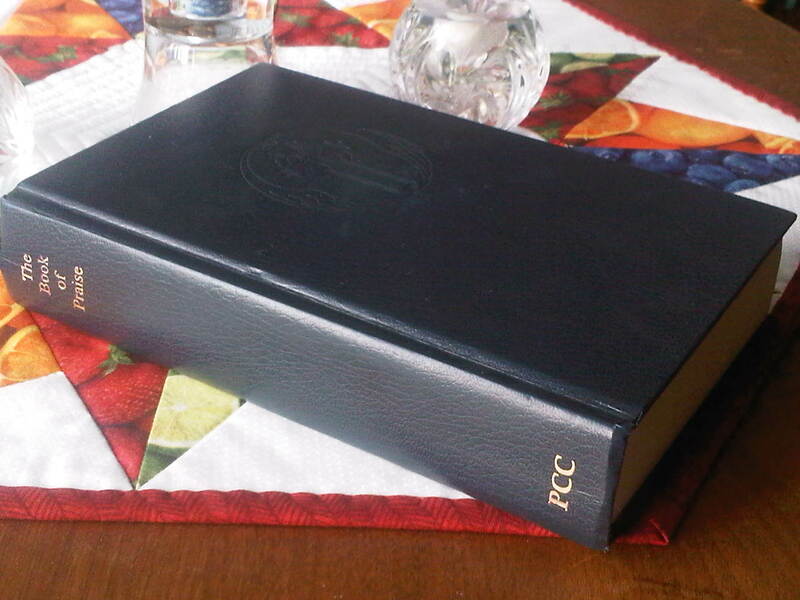 Eleventh in a series of posts that go through hymns in The Book of Praise of the Presbyterian Church of Canada. or what on earth, compared with thee? my tongue shall bless the while I live. The paraphrase is good. It fits nicely with the musical phrases and for the most part uses syntax which makes the meaning of the verses clear. I particularly like the third and fifth verses. The tune for this hymn is not well known in my congregation, but is not difficult to sing and fairly pleasant. There are also some interesting bits in the parts which makes it more fun for the choir. Tenth in a series of posts that go through hymns in The Book of Praise of the Presbyterian Church of Canada. I confess thy judgements just; speechless, I thy mercy trust. make me pure, thy grace bestow; make me thus thy mercy know. from my sins oh hide thy face, blot them out in boundless grace. thy salvation’s joy impart; steadfast make my willing heart. The paraphrase has a perfect rhyme and rhythm scheme which if spoken might make it seem a bit trite. Sung however it has a nice flow. The tune for this hymn is not one you want to spring on a congregation with whom it is unfamiliar. In a minor key with half-tone changes in note from bar to bar (F# in one bar with F in the next) it will take some time for it to become comfortable. Assuming your choir can sing it, I advise having the organ (piano) play it all the way through and then just the choir for the first verse and then the congregation joining as they are comfortable. Ninth in a series of posts that go through hymns in The Book of Praise of the Presbyterian Church of Canada. its many splendours to recount. The paraphrase is considerably shorter than the original Psalm and seems to leave out most of the more martial elements. Other than that, it fits nicely with the phrasing of the melody. If it were not the Lectionary Psalm of the day, I don’t think I would pick it for a service. The tune for this hymn is ok. I’m not a huge fan, but it isn’t hard to sing and congregations will pick it up fairly quickly. I like the fact that the second half is not just more of the same. After two repeated lines there are two upward flowing phrases which lead to a nice climax. Eighth in a series of posts that go through hymns in The Book of Praise of the Presbyterian Church of Canada. even where thy dwellings be. Why art thou then cast down, my soul? my God that doth me raise. have cause to give thee praise. The paraphrase is good. It skips over the first section of the Psalm and then follows quite closely for three verses without any strange syntax in order to achieve rhymes. The final verse is a combination of lines from the opening sequence of the Psalm and the last two lines. The tune for this hymn is also a good one. I prefer it without the use of the half-notes at phrase endings. I believe they were put in to approximate the traditional practice of putting a fermata at the end of each phrase. I’m not sure about the half notes at the beginning of the phrases, they seem a bit gratuitous. Check out the rhythm in hymn 76 to see how much more nicely it flows. Seventh in a series of posts that go through hymns in The Book of Praise of the Presbyterian Church of Canada. thou majesty divine?Why restless, why cast down, my soul? to my oppressor’s scorn?Why restless, why cast down, my soul? The lyrics for this hymn are a paraphrase and of the three parahprase versions of Psalm 42 in the Book of Praise, this is the one which covers the majority of the Psalm. The phrasing in the first two verses fit with the pattern of the music perfectly while the other three continue through the midpoint. Because of this and the fact that most of us need to breathe, the meaning tends to be lost or at least muddled. The tune for hymn 26 isn’t my favourite. There are many other 8686CM tunes in the BOP which would work if you don’t like this one. Despite the fact that the paraphrase is better, I would choose hymn 25 which uses the English folk tune O Waly, Waly or 27 with it’s own tune As The Deer. 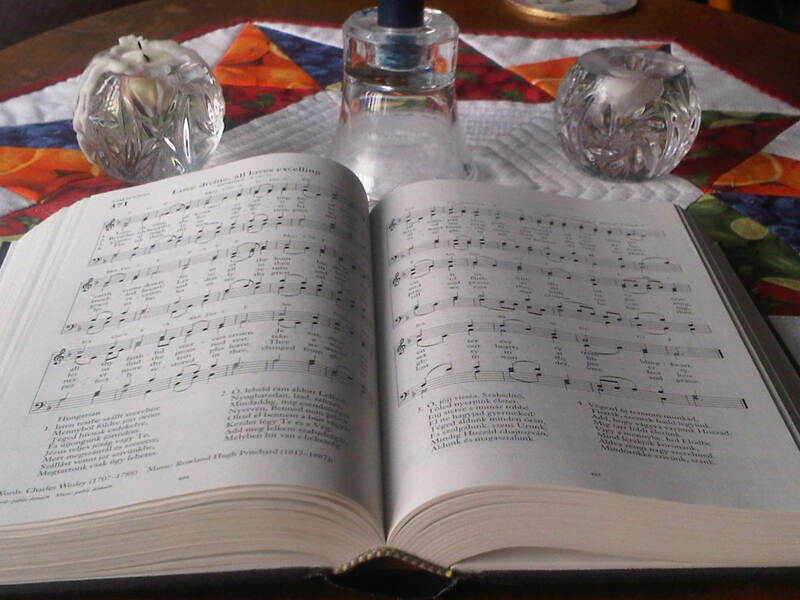 Sixth in a series of posts that go through hymns in The Book of Praise of the Presbyterian Church of Canada. that veils and darkens thy desings. thy judgements are a mighty deep. Today I think I’ll begin with the music for this hymn. I would not recommend using the music provided for hymn #19. There is an alternate suggested which is Truro which is somewhat better (hymn #251). I think if I wanted to use the paraphrase I would do it to the tune Angelus (hymn #516) which lilts along quite nicely in 3 and would be somewhat familiar as the common baptism hymn ‘A little child the saviour came’. I don’t think the third verse is very clear in its meaning. The Psalm speaks of feasting on abundance and drinking from the river of delights. I don’t really see that as the same as “we shall be fed with sweet repast; there mercy like a river flows and brings salvation to our taste.” I expect the phrasing is, again, chosen to match the rhyme scheme of the poem, but repast and taste do not even rhyme so it makes it awkward and confusing without accmomlishing the goal. Fifth in a series of posts that go through hymns in The Book of Praise of the Presbyterian Church of Canada. Music: Jeremiah Clarke, from Divine Companion 1707 public domain. who shall make me afraid? I know that God is near. and joyful shouts of praise! If you have been following this series it is quite likely that as you read through the lyrics you said to yourself, “I know the first thing Cathy is going to comment on!” If you did that, in reference to the third and fourth verses, you are spot on! A verse in a song should not, or at least would not normally, begin with a lower case letter as each verse should be complete unto itself! Since the paraphrase goes over eight phrases rather than four, perhaps a melody should have been chosen which was done in eight phrase verses. Another option would have been to have a bridge inserted to carry those extra lines of verse three, rather than calling it verse four. If you recall, in my last Praise Notes I mentioned that I am not a fan of hymns in which the paraphrase needs to twist around to match the tune. Hymn #9 has one verse which does this. If you don’t take time to puzzle it out, this verse is just a series of words to a pretty tune. The meaning is that God’s laws are desired more than fine gold and sweeter than honey from the comb. All this twisting of sentence structure was done to retain a rhyme scheme. I personally would have preferred that it not rhyme and make some sense. I believe this sort of thing is a large part of the reason people feel that the traditional hymns of the Christian church are outdated and boring. As for the music, William Tans’ur wrote a pleasant lilting melody. The harmonies are pleasant, although the alto part does spend most of the time on one of three notes. The bass and tenor lines are a bit more interesting to sing. All together a good piece of music which only appears once in the book as the prescribed melody. Another of his pieces, Bangor, comes up elswhere in the Book of Praise at #s 6, 232 and 751 and won’t be part of my series as the lyrics for all three are still under copyright. It is a lovely composition, written in a minor key.